Each Dome is kitted out with Panasonic Aquarea Fan Coils which are connected to air to water Panasonic Aquarea Monobloc heat pumps for quick reaction heating and cooling as well as domestic hot water. Panasonic additionally supply DX ERV units to maintain a constant air flow rate. Furthermore, each Dome can be monitored via the Panasonic Aquarea Smart Cloud technology to maintain the optimal environment for each guest. 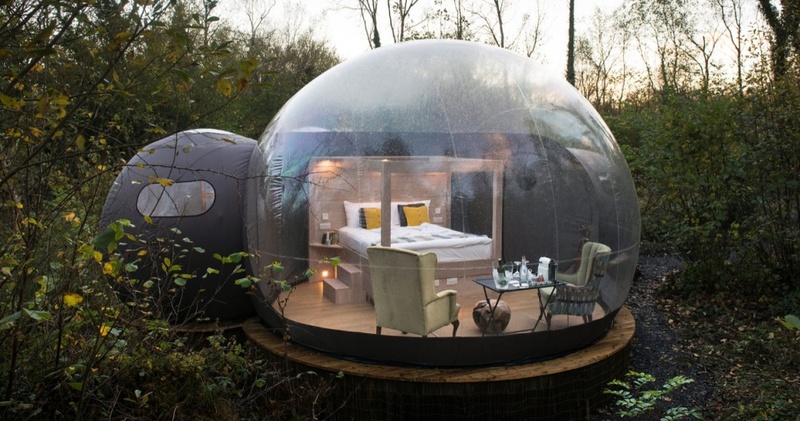 The first Domes were created in 2015 but had several challenges such as misting up, being cold in winter and too hot in the summer months. Michael then started discussions with Panasonic to understand and solve these issues. With continuous prototyping and testing, the team has since adapted and improved the Dome’s comfort and experience for guests. The Panasonic Aquarea heat pump technology was chosen for this project as the units easily adapt to extreme low temperatures (-20oC) and high temperatures, whatever the climate. The units are highly energy efficient (COP of 5.08), are compact, positioned externally to save on internal living space, quick and straightforward to install. 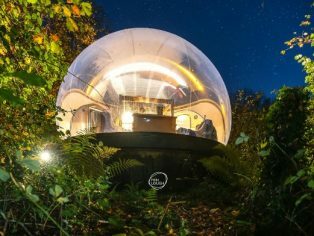 The Domes are proving popular, with seven initially installed at the Finn Lough Resort in Northern Ireland which has recently increased to 14 Domes due to the high demand. Visitors’ feedback is highly positive, so much so that the resort now has an ever-growing waiting list. 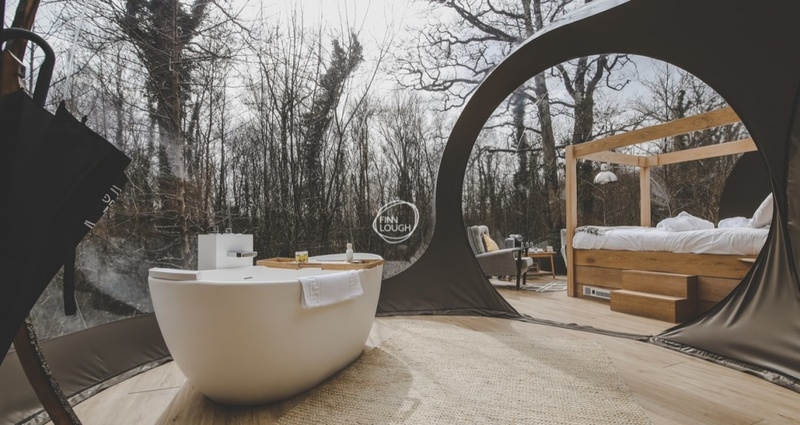 Each dome has a unique four poster bed, ensuite bathroom, nespresso coffee machine, fluffy robe and daily breakfast included and reside in the middle of a private forest. 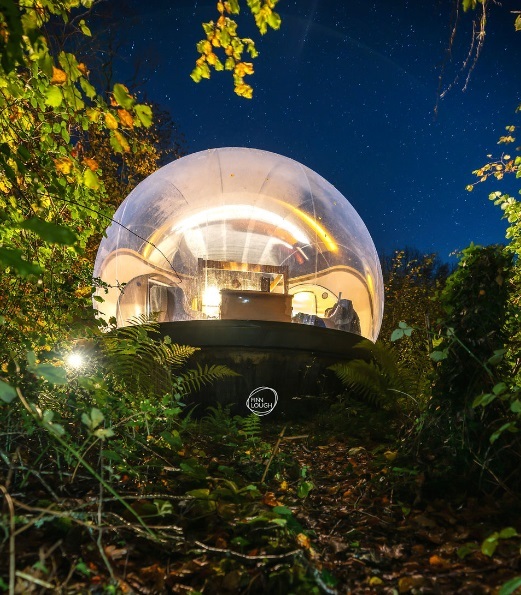 Enthusiasm for the Dome experience has now reached a global level with orders for more Domes in remote locations coming from Australia, North America, Italy and France to name a few. For more information please visit www.aircon.panasonic.eu.